In Old Time Blues’ continuing cavalcade of Texas’ native music, western swing, we turn our spotlight to the accomplished steel guitarist and composer of such standard songs as “Born to Lose”: Ted Daffan. Ted Daffan and his Texans, pictured in the Hillbilly Hit Parade of 1941. From left-to-right standing: Buddy Buller, Chuck Keeshan, probably Elmer Christian; seated: Ralph Smith, Ted Daffan, and probably Harry Sorensen. Theron Eugene Daffan was born in the Beauregard Parish of Louisiana on September 21, 1912, but he got across the border to Texas as fast as he could. He graduated from high school in Houston and later found work there in a musical instrument shop. Inspired by Milton Brown’s music, Daffan became a pioneering user of the electrified steel guitar, following in the footsteps of the Musical Brownies’ Bob Dunn. During the days of the Great Depression, he played steel guitar in Hawaiian radio bands before moving on to Texas swing bands like Shelly Lee Alley’s Alley Cats and the Bar-X Cowboys. In 1939, Daffan composed “Truck Driver’s Blues”, one of the earliest examples of what was to become a common theme in country music—supposedly Daffan would see truck drivers come into restaurants while he was dining and go straight for the jukebox, and he wanted a part of that racket—which became a hit for Cliff Bruner’s Boys and the Light Crust Doughboys. 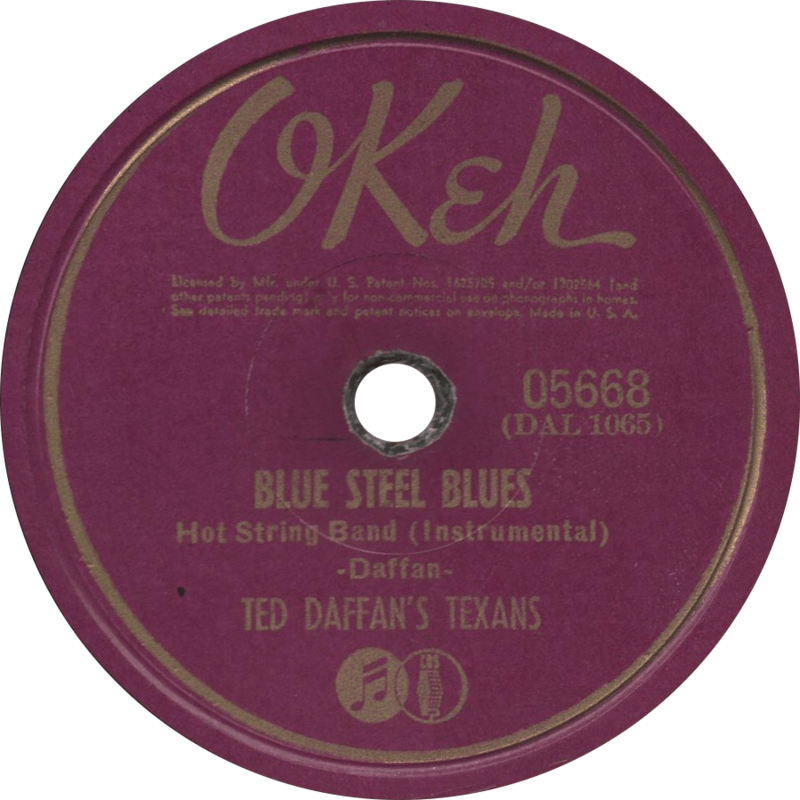 As a result of that success, Daffan was signed by CBS in 1940 to record with his own band, the Texans, for their Okeh label. With his Texans, Daffan had hits with “Worried Mind”, “I’m a Fool to Care”, and “Born to Lose”, all compositions of his own, and all of which became standards in their own right. Like Bob Wills, Daffan relocated to California in the 1940s and led a band there, but only stayed for a couple of years before returning to Texas. After World War II, he began shifting his career focus away from playing and recording music and more toward songwriting and publishing, and he founded and owned both record and music publishing companies. Ted Daffan died in Houston on October 6, 1996. Okeh 05668 was recorded on April 25, 1940 at the Burrus Mill Studio in Saginaw, Texas. It is Ted Daffan and his Texans’ first record. 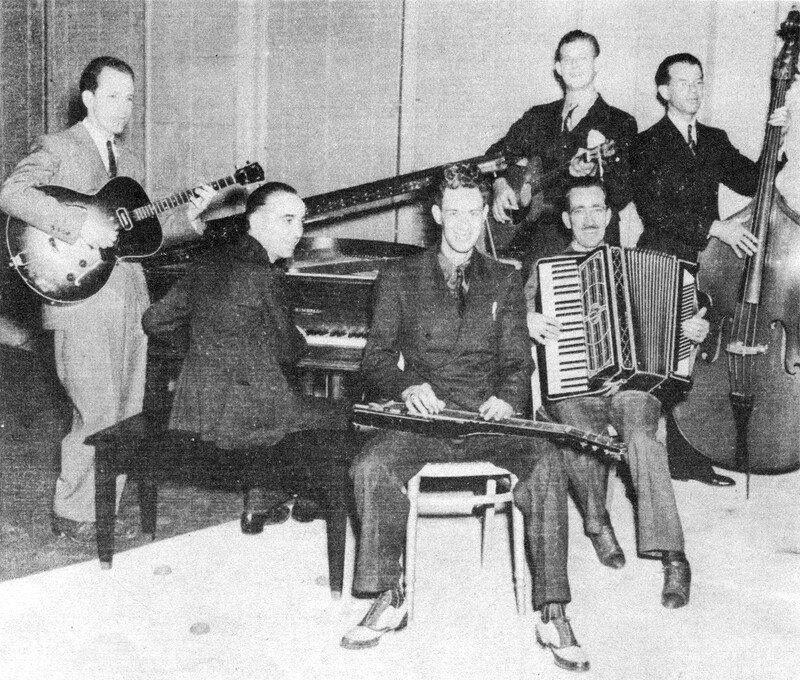 Daffan’s Texans are made up of Ted Daffan on lap steel guitar, Sidney “Buddy” Buller on electric tenor guitar, Chuck Keeshan on second guitar, Harry Sorensen on accordion, Ralph Smith on piano, and Elmer Christian on string bass. The first side the Texans recorded, Chuck Keeshan sings the Tommy Duncan-style vocal on Daffan’s own composition, the classic “Worried Mind”. 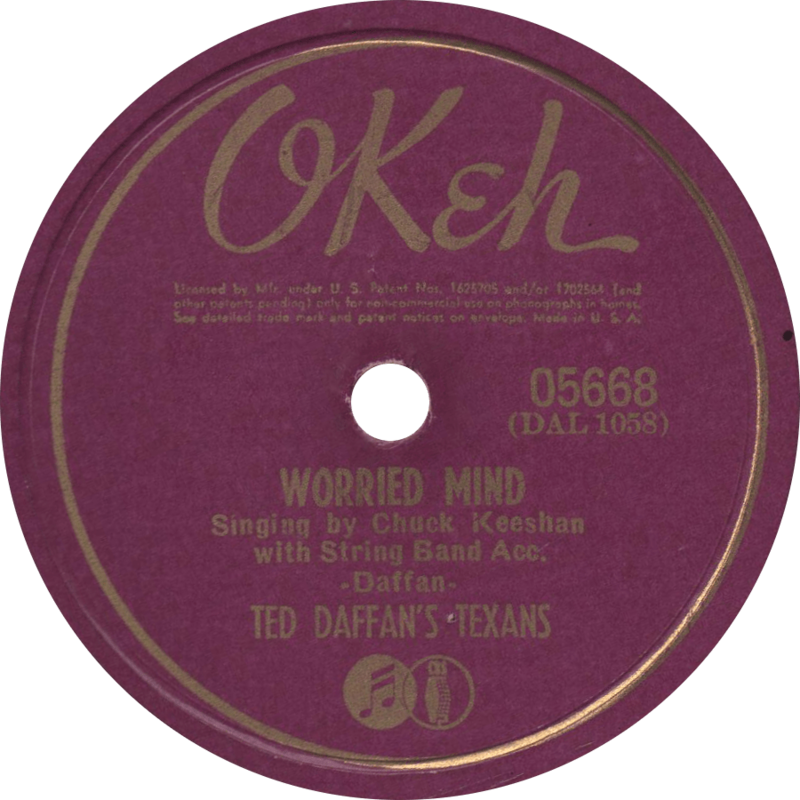 Worried Mind, recorded April 25, 1940 by Ted Daffan’s Texans. On the flip-side, Daffan showcases his steel-guitar playing abilities on the instrumental “Blue Steel Blues”. Blue Steel Blues, recorded April 25, 1940 by Ted Daffan’s Texans. I believe there’s something that’ll make you feel oh boy, and how!